When this nightmare of ours first started almost a year ago, I was desperate for answers to my questions about my own Spirituality. 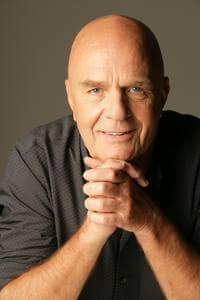 One of the first Spiritual teacher I came upon was Dr. Wayne Dyer. His movie “The Shift” was such an amazing eye opener for me. I have since read several of his books, watched every video and interview he had recorded. He truly is a man of God, a beautiful soul and an amazing force of life.. God’s speed Dr. Dyer.. Thank you for the peace you brought the world, and me..